In theory, a drop in oil prices should signal trouble for the renewables market. However, this doesn’t appear to be the case this time around, says Rachel Parkes (image courtesy of Shutterstock). 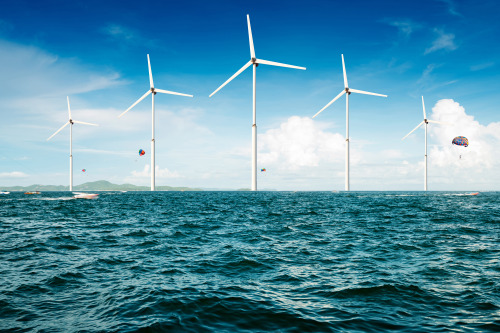 IRENA has predicted that wind power costs could come down by up to 33% over the next ten years, which could boost the offshore wind market (image courtesy of Shutterstock). When oil prices drop, the renewable energy sector usually braces for a rough ride. 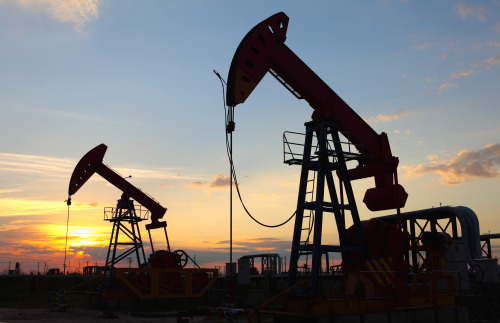 Rachel Parkes looks at how the industry is faring in today’s low oil price environment. The commodities market can be a volatile beast and past experience with price spikes and crashes has made governments understandably cautious about relying too heavily on fossil fuels. When oil prices are high, governments are often keen to pledge support for clean, fixed-cost renewable energy in place of risky fuel-price hedges. And with government support assured, there can be no doubt that investment in renewable energy, with its up-front capital costs and emphasis on fixed returns, is an attractive option for investors compared to the dog-eat-dog world of thermal power generation. German utility’s E.ON’s decision to spin off its profitable renewables business away from its struggling thermal power generation business is a testament to the power of positive regulatory signals and technological advancement. But what happens when the oil market bottoms out? What happens when fossil fuels are so cheap that the capital-cost premium on new renewables infrastructure becomes a political hot potato? And what happens when the cost of building new renewables infrastructure is undercut by the appeal of investment in existing or new fossil fuel infrastructure? During the last oil price decline of the 1980s and 1990s, the then-nascent renewables market went through a rocky patch after a period of comparative growth. The oil price spike of the early 1970s raised the alarm in OECD markets about the geopolitical risks of over-reliance on oil, prompting a concerted effort to bring new, home-grown renewable technologies to commercial viability. California, for example, introduced generous tax credits and became a wind and solar powerhouse. By 1986, the state hosted 1.2 GW of wind power, around 90% of the world’s installed capacity. Denmark’s world-class wind turbine manufacturing base was borne out of demand from this market. Likewise, the ARCO oil company began building solar PV farms in California and New Mexico, including the world’s first 1 MW array in Hesperia, California in the late 1970s, as well as a 5.2 MW array in Albuquerque, New Mexico in 1983. But when pricing reform in the oil markets brought about a decline in prices in 1986, the renewables market was brought to its knees. In the US, tax credits expired, and politicians embracing a new era of lower oil prices were not motivated to renew them. As the oil price depression continued into the late 1990s, Japan’s Sunshine Programme was dismantled, and the baton was passed to Europe where a few national governments haltingly introduced support regimes for renewable energy on the back of environmental concerns. However, it was not until the Renewable Energy Directive in 2008, when oil prices were peaking once more at $97/barrel, that the European Union put in bloc-wide targets to support the industry. If history is to repeat itself, an industry collapse is certainly what should be happening now. In February 2016, the prices of two key oil benchmarks, Brent crude and its lighter cousin West Texas Intermediate, hit the $27/barrel mark, the lowest level since 2003. Brought on by a supply glut caused by the US shale oil boom and OPEC’s reluctance to rein in its own production and lose market share, coupled with lower-than-expected demand, the crash is one of the most acute in the industry’s annals. Indeed, after June 2014 prices of $105-112/barrel, the 2014-16 crash saw 75% of the value of a barrel of oil wiped out in less than 18 months. By comparison, the last oil price crash in the 1980s – coming after a sharp oil price spike in 1973 – saw oil prices fall by around 60% over six years. But despite the bad omens, there is little or no evidence that the renewable energy industry as a whole is being hampered by low oil prices this time around. In fact, the industry appears to be booming. According to the latest investment report from the United Nations Environmental Programme (UNEP), global investment in non-hydro renewable energy rose 5% in 2015 to $285.9 billion, a new record. Importantly, this year-on-year increased occurred despite a depreciation of the dollar in several currency zones, meaning that the number is likely higher in real terms. Significantly, investment in renewable energy was more than double that made in gas and coal infrastructure, which totalled $130 billion. Furthermore, there has been no slowdown in capacity additions. Wind and solar saw 118 GW of new additions, with non-hydro renewables making up 53.6% of all new capacity in 2015, the first time the sector has exceeded all others in this respect. So why has the industry proved so resilient this time round? The answer lies partly in oil’s weakening influence in the power sector. Whereas in 1973 oil made up 25% of the world’s power mix, now it represents just 5% which means that renewables and oil are no longer directly competing in the power markets. Therefore, any dip in oil price has less impact on the ability of wind and solar, for example, to compete. However, where renewables are competing directly with oil, the picture is not so rosy. Renewable technologies which find their natural home in the transport and heating markets are not faring well: biomass and waste-to-energy saw investment fall by 42% to $6 billion, while biofuels, which represented the second-biggest sector behind wind in 2006, saw a 35% drop to $3.1 billion. Ben Caldecott, director of the sustainable finance programme at Oxford University’s Smith School of Enterprise and the Environment, notes that this weak spot also extends to advanced biofuel development in the aviation sector. However, other experts are not convinced that the oil price crash is at the root of the biofuel sector’s woes, pointing to other regulatory issues. However, while oil certainly has less of an impact on the power market than it did in its heyday, the wind and solar sectors would be unwise to underestimate the indirect influence of oil on electricity prices and therefore renewables’ ability to compete. Unlike oil, gas and coal do compete directly with wind and solar in the power mix, and depending on the market, the price of oil can certainly impact the price of both of these commodities. The global coal market is currently embroiled in a supply glut and price crash of its own, a situation that has been exacerbated by waning power demand and – crucially - an influx of cheap oil and gas. Meanwhile, the link between natural gas and oil is more complex. In markets such as the US there is almost no direct correlation between oil and natural gas prices, and plummeting natural gas prices have far more to do with over-production of domestic shale gas than the international price of oil. Regardless, rock-bottom natural gas prices in the US have also resulted in record-low power prices. At the other end of the spectrum, large Asian power markets such as Japan, China and South Korea source liquefied natural gas (LNG) almost exclusively under oil-linked contracts. Here, the price of oil and gas are heavily correlated, which means that when oil crashes, gas is sure to follow. Indeed, Japanese LNG prices have fallen 69% since 2014, and the country’s utilities are under pressure to significantly cut electricity rates where they have not already. In the middle ground is Europe, which buys some of its gas under oil-linked contracts from Russia, Norway and North African nations, and the rest is traded on liquid market hubs, sourced from domestic suppliers and from Qatar and the US and others under flexible LNG contracts. Significantly, renewables investment has continued to be shored up in almost all these markets. Despite falling natural gas prices, investment in Japan’s renewables sector was level at $36.2 billion on the back of a small-scale PV boom, while China saw a huge 17% increase in investment to $62 billion. Likewise, renewables investment in the US saw a 19% bump to $44.1 billion. In fact, the only major renewables investment market to contract was Europe, where investment fell 21% to $48.8 billion, despite a record 11% bump in offshore wind financing there. Meanwhile, the UNEP statistics also reveal a large disparity between investment in the renewables sub-sectors. While wind and solar are going from strength to strength (witnessing 4% and 12% growth respectively), other renewable power market technologies have not. Investment in geothermal fell 23% $2 billion, while marine energy investment slipped 42% to just $215 million. Figure 1. Global new investment in renewable energy by sector, 2015, and growth on 2014, $bn (image courtesy of UNEP). All of which suggests that there is a second reason, other than the weakening oil-power link, for the resilience of wind and solar – and only wind and solar - this time around. The answer lies in the significant cost reductions that have been achieved by wind and solar over the past few years, which means that these technologies are now able to compete with fossil fuels on a levelised cost of energy (LCOE) basis even in very low oil and gas price market. According to analysis from FTI consulting, onshore wind is, in many locations, at wholesale grid parity with an average LCOE of $45-70/MWh. Although LCOE is heavily dependent on location, the consultancy notes that onshore wind is now cheaper to build than new-build gas plants ($65-120/MWh), coal ($80-120/MWh) and nuclear ($100/MWh). Meanwhile the LCOE of solar PV, at $100-150/MWh, is at retail grid parity in many locations, making it highly competitive in the small-scale PV markets. In the US, for example, this cost is highly competitive in a retail market where power can cost around $130/MWh. Likewise in Europe, where retail prices can reach $220/MWh. And, in some locations with extremely high levels of insolation, solar PV is even competitive at wholesale grid parity. Last year ACWA Power International’s 200 MW plant in Dubai was offered a power supply contract at just $58.50/MWh. At $130-150/MWh, the LCOE of offshore wind is still a way off reaching wholesale grid parity, but FTI predicts that costs will drop to below $110/MWh within seven years. Indeed, with the Paris Agreement now in place encouraging new regulatory support for renewables, IRENA’s Gielen notes that cost-competitive renewable energy is here to stay, and it is a trend that will likely continue. Earlier this month IRENA predicted that wind power costs could come down by up to 33% (figure 2) and solar by up to 59% over the next ten years, which could unleash a boom in offshore wind and utility scale solar, regardless of the status of the oil market. Figure 2. Projected reductions in total installed costs for offshore wind by source, 2015-2025 (Image courtesy of IRENA). Furthermore, with oil and gas majors slashing capex and dividends in an effort to cut costs in this hostile environment, Caldecott believes that savvy investors are now looking to the clean tech industry as a safe haven from the cut-throat world of the commodities markets. But the question remains, what happens when oil prices start to rise again, whether in five years, ten or twenty years? Gielen believes that by the time they do, renewables will have a strong grip on the power sector and may actually start to influence oil market dynamics – and the hunted could become the hunter. Rachel Parkes is a freelance journalist and copywriter, with expertise in the Energy and Environment fields. She is a long-time contributor to Renewable Energy Focus magazine.